The way people work today has changed. your user and business needs. We apply the best of both worlds. We help your company to build the right software right. As a German IT consulting company we offer industry and technology independent IT services related to the design, development and maintenance of your business software. Our collaboration culture is driven by lean, future-oriented and open-minded thinking as well as honest consulting. 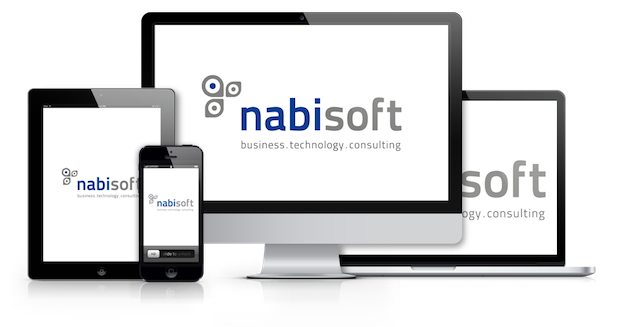 Contact us to find out more about nabisoft. We take into account the business models and business processes of our clients as well as the user needs to identify optimization potentials that must not be neglected when building software. Technology is a business enabler. We build on state-of-the-art technologies to drive your business. Applying best practices and the latest findings of Software Engineering research allows us to deliver high quality solutions. We are only successful if we can help our clients to be even more successful. It is our belief that only honest consulting services which focus on our client's business rather than on our own profits is the only direction.